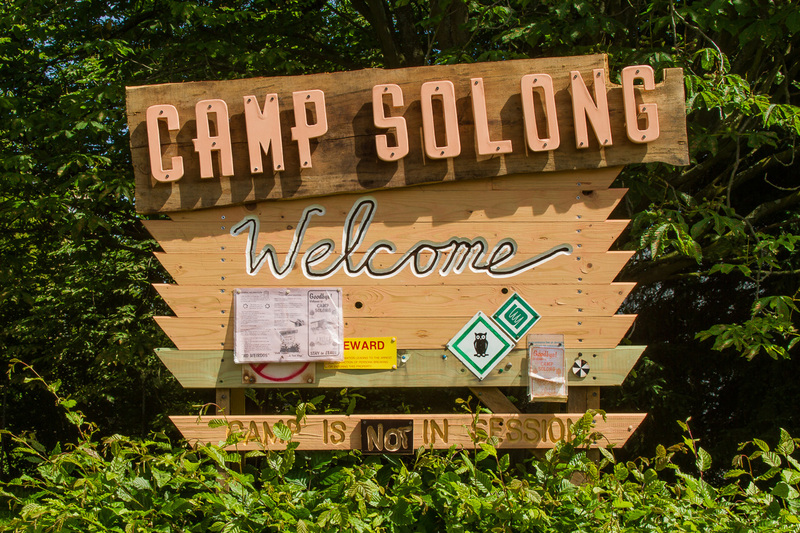 Camp Solong is an absurd yet heartfelt mini-institution in the form of a 3-day summer camp for adults. 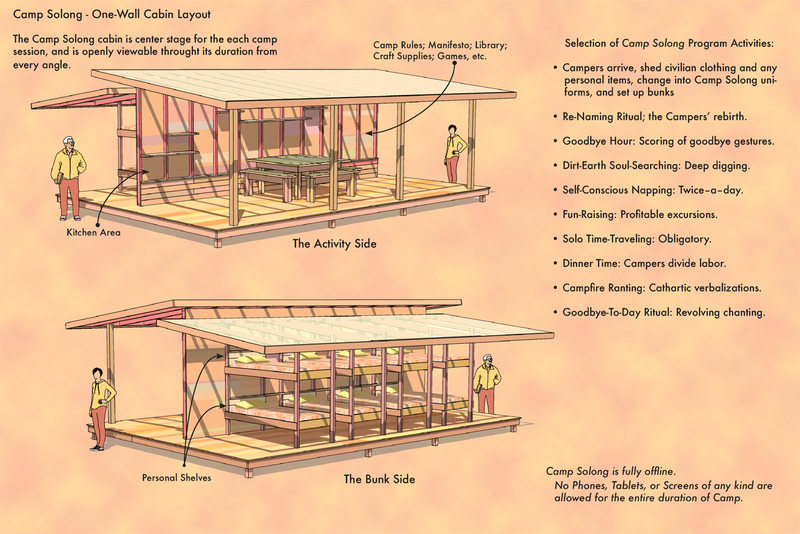 The camp focuses its entire program on the inevitable, impending task of “saying goodbye” that awaits not just at the end of the camp, but also at the end of all relations and life itself. 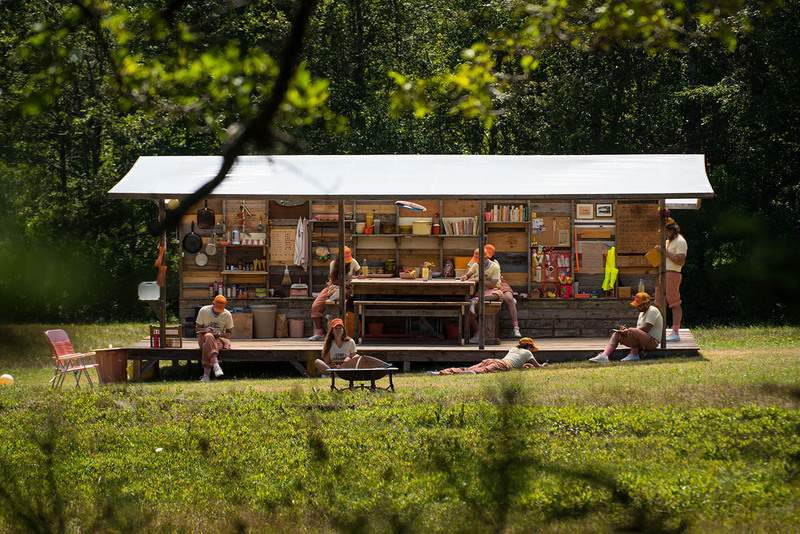 The ongoing project, a collaboration between Dafna Maimon and Ethan Hayes-Chute, manifests yearly (since 2016) through the nomadic camp itself; an open-air, one-wall cabin structure hosting a different group of six campers, all chosen via open call. Within Camp Solong an elaborate form of role-play takes place; the artists embody two fictional alter ego characters “Fluffy” and “Baloo,” respectively, who are also the camp’s founders and counselors, running (and participating in) the entire show. 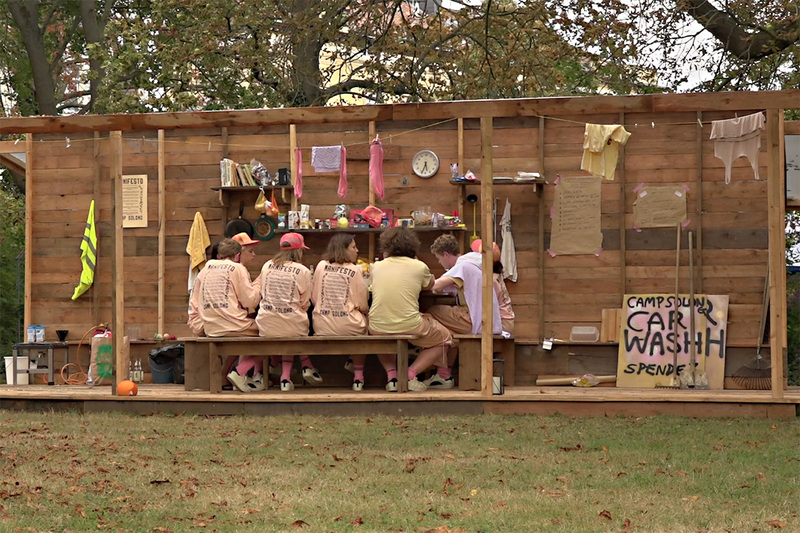 The camp counselors stage and live through a cycle of performative rituals, in large and small scale; the yearly event of the camp can be seen as one overall performance, but also each day of the camp includes a series of smaller participatory performances. At times, these are extracted and also extend to events and situations outside of the camp as the artists further elaborate the Camp Solong universe by creating immersive installations through a series of adjoining exhibitions, photo series, and films, that serve to expand, communicate, and process the universe of Camp Solong to a broader public. 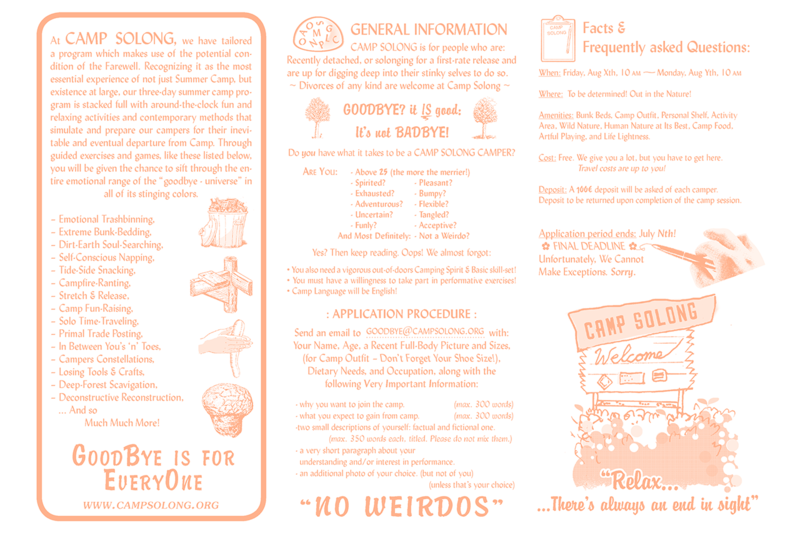 Play and humor are central parts of the Camp Solong universe, as its activities (whether in the camp program itself, or in the exhibitions), are formulated through a series of fictionalized workshops like i.e. Emotional Trashbinning, Solo Time-Traveling and Poop-Talk, all aiming to induce empathetic states of self-maximalization that ultimately allow for catharsis and a deep sense of belonging. 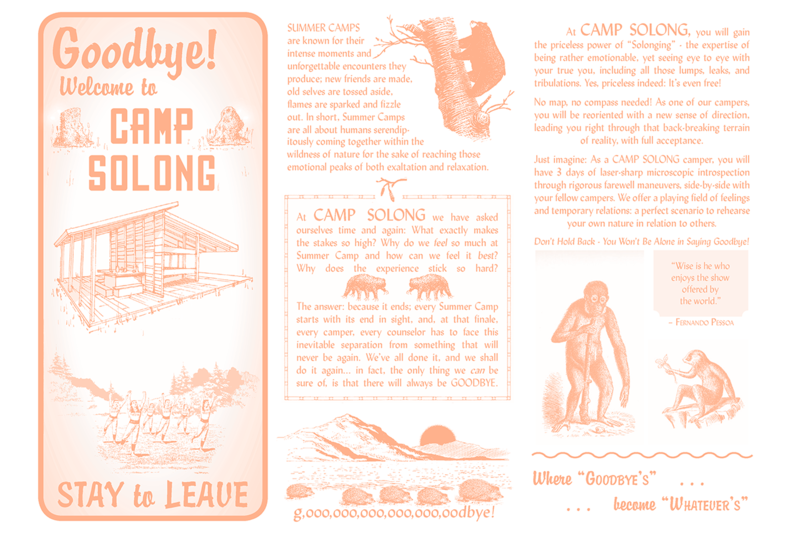 Camp Solong is a factory for self-care tools, a heterotopia calling for alternative ways of living where a conglomeration of self-sufficiency, connection to self, nature, and others is presented as a viable option for creating meaningful living. 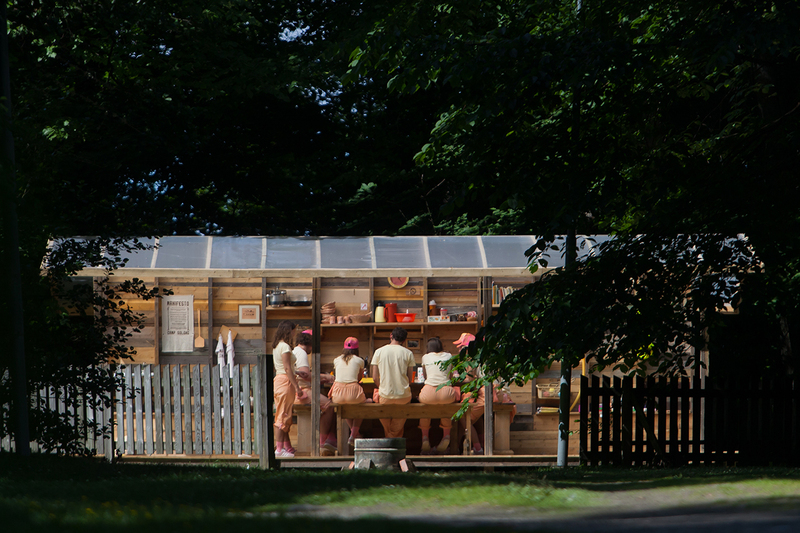 In 2016, Camp Solong took place in the garden of Kunstverein Braunschweig with an adjoining informative installation inside the institution. 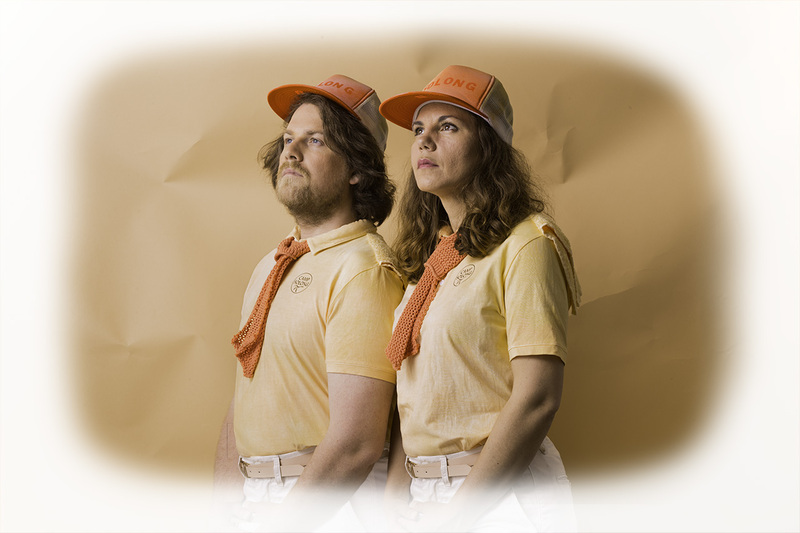 In 2017, the camp was located on a nature reserve in a small town in Finland, with the adjoining exhibition Camp Solong: Nonstop Sunset in the center of Helsinki at Sinne Gallery. In 2018, the camp was hosted on a uninhabited island reserve in rural Maine, USA, with the adjoining exhibition Camp Solong: Almost Season, at SPACE Gallery in Portland, Maine.